While A Girl and Her Elephant is about Kanita (the girl) and Safi (her elephant), they do happen to run across a prince. I’m not going to give anything away about that, but I had picked the name “Mongkut” for the prince because it means “crown” in Thai. But while I was researching Thailand’s history, I realized that Mongkut was the name of a very famous prince in Thailand’s history. You might not know his name, but you have certainly heard of him. You know him simply as “The King” from The King and I. Even here in China I knew who that was because Chow Yun Fat played Mongkut in Anna and the King and is a very popular Hong Kong actor. So now I was torn about what to do. The Mongkut in my novel is a fictional character. So should I change the name? Or just leave it as a funny nod to The King and I? My first instinct was to change the name. Mongkut is a pretty well-known character in popular culture and history, and since I was writing historical fiction, I wanted the story to be rooted in reality. 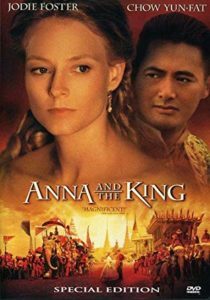 But as I did more research on the time period and King Mongkut, there were so many similarities between the Mongut in my book and the real King Mongkut, it made much more sense to simply make the Mongkut in my novel THE King Mongkut from The King and I. Of course, I also embellished quite a bit about Mongkut as well, so don’t think that everything relating to him in the novel is true. But I think the nod to the real King Mongkut and The King and I was a better choice than just changing the prince’s name. After you read A Girl and Her Elephant, you can let me know if you think it was the right decision.